New Month, New Charity! The third (and final) month of our Charitable Promotion at Kinnard Heating & Cooling has begun! November is designated to Curative Connections​! 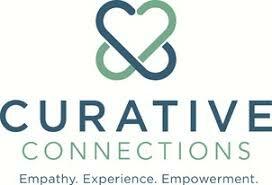 Curative Connections is a great organization that I have had the pleasure of volunteering at with my therapy dog, Sierra. It is a non-profit agency whose mission is to assist seniors an individuals with disabilities. Eight Adult day programs some provide services for individuals with all types dementia such as Alzheimer's disease and others assist individual with physical and cognitive disabilities. Rehabilitative services for individuals who have had traumatic or acquired brain injuries, in-home support and employment programs. Schedule a Furnace Tune Up with Kinnard Heating & Cooling during the month of November and we will make a donation to Curative Connections! Help make a difference! Thank you for your help! ​'Tis the Season For Giving! ​Purchase a Luxaire Two - Stage Variable Speed Furnace and Kinnard Heating & Cooling will give you an early Christmas present of a HUMIDIFIER. Have questions or would like to take advantage of this offer? Call 920-465-6689 or 920-743-3333. Happy Holiday Season!